This weekend it's the F1 Belgian Grand Prix. 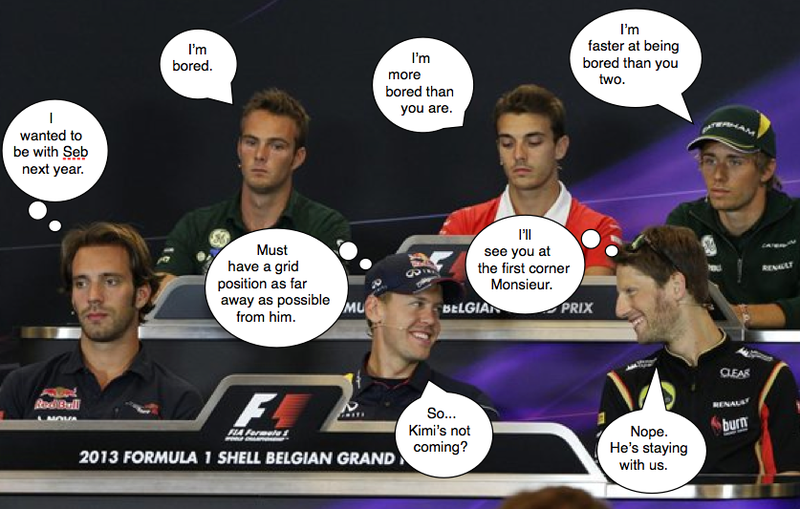 I was looking at some pictures from the press conference on Thursday and came across a funny one. I just couldn't resist adding a few text captions. It's probably a bit obscure if you're not following F1.